Progress is coming slow but steady on the new Bruno’s Deli on Main St. in downtown Little Rock. Owner Gio Bruno tells me he is working on moving in inventory and training staff for the new business next door to Bruno’s Little Italy. Team members today have been stocking the grocery area with pasta, olives and other traditional Italian fare. Originally slated to open July 5, Bruno says he doesn’t have a new date yet for the grand opening. When it opens, Bruno’s Deli will serve the lunch crowd with Italian sandwiches, soups and salads. It will also sell sliced meats and cheeses. 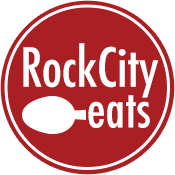 We’re less than a week away from the grand opening celebration for the Little Rock location of Eat My Catfish. The hugely popular restaurant already has locations in Benton and Conway, and has been working for months to set up shop in the Breckenridge Village Shopping Center on Rodney Parham Rd. A recorded message at the restaurant’s phone number says the celebration will be July 19 from 11 a.m. until 8 p.m. Eat My Catfish has garnered a large following for its fried catfish and shrimp-themed menu. Also opening a Little Rock location soon is JJ’s Grill, an Arkansas-based chain with locations in Northwest Arkansas and Conway. JJ’s Grill is moving into the space formerly held by Another Round and La Villa Italian Restaurant on Bowman Road. The restaurant group is still targeting this month for its grand opening, though no official date has been set. So rarely is the term “once in a lifetime” accurate, but in this case, it’s dead on. Big Orange Midtown is holding a special rum tasting that will only be available once. Ever. Big Orange has brought in a bottle of Black Tot British Naval Rum for a tasting event on July 30 at 11:30 p.m. This special rum was once given to British sailors as part of their contract, but that ended in 1970. That rum then got locked away until recently, when it came back on the market. Big Orange Midtown purchased a bottle and will sell .75 ounce portions at the event at cost. This is the only bottle of this rum that will come to Arkansas, so make sure to attend this event if you want to try it. Looking for news about Arkansas breweries? We’ve started putting that together in a separate feature called Growlers. Everything from new openings and events to what special beers are going on tap this week can be found there. Be sure to check out our first Growlers feature here, and come back every Monday for the latest beer news in Central Arkansas. If you’ve eaten at The Fold lately, you probably haven’t missed the big improvements the restaurant has made. We sat down this week with executive chef Alex Smith to talk about her vision and passion for quality food. Summer is here, and that means fresh Arkansas produce on menus around the city. Check out our summer menu previews for Ciao Baci and for So Restaurant in Hillcrest. And if you’ve ever had Onyx Coffee, you know what a special treat Arkansas really has. We caught up with owner Jon Allen to talk about his business that has received plenty of national attention. July 16th Tacos and Tianguis – This special fundraiser at Bernice Gardens will support El Zócalo Immigrant Resource Center. Expect to find several taco varieties and plenty of Mexican-inspired desserts. July 18th Bentonville No Kid Hungry Dinner – Yes, it’s pretty far away, but there are few causes more important than fighting child hunger. South on Main’s Matt Bell will join The Hive’s Matt McClure and many other great chefs for this important evening. Tickets are on sale here. 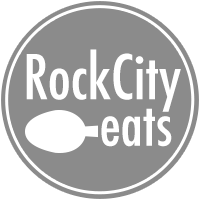 July 20th Rock City Eats Food Truckin’ Wednesday – Our monthly food truck meet-up at First United Methodist Church in Bryant. This month’s event features Beast, Hot Rod Wieners, Kincaid’s Coffee and more. July 26th Stone’s Throw Brewing/Southern Gourmasian Beer Dinner – This time, the monthly beer dinner is partnering up with the Quapaw Quarter Association’s Summer Supper Series. Tickets are $50 and available here.